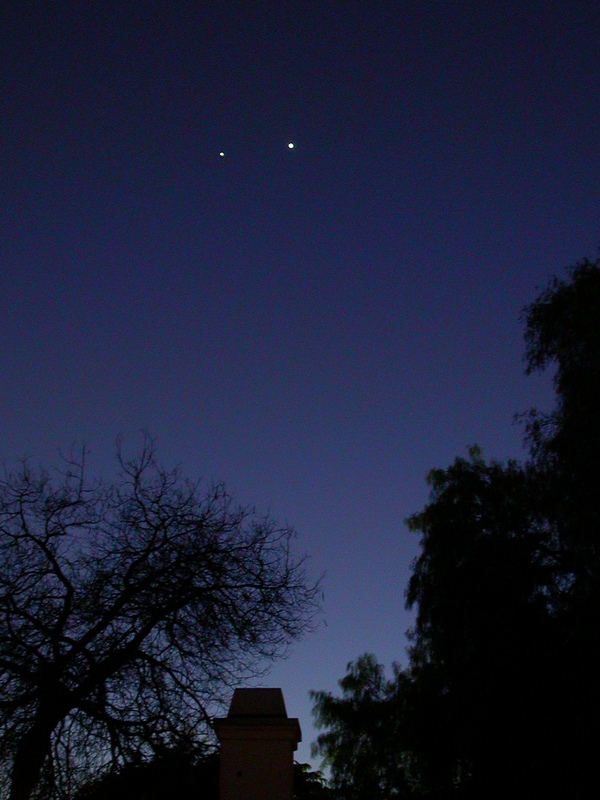 For the next few nights, Jupiter and Venus are going to be as close together in the sky as they’ll get this year. I took this picture this evening from my driveway with my old Nikon Coolpix 45oo, about a 1 second exposure. Jupiter is on the left. If you have optics, even small ones, you should be able to see the moons of Jupiter and see that Venus is a half-lit D-shape instead of a round ball of light. The seeing was better tonight than it has been in a long time. I put the little scope on Jupiter and dropped in a 6mm eyepiece for 208x. Jupiter was razor-sharp and zebra-striped with cloud bands. In the steadiest moments, the South Equatorial Belt showed a ragged edge, and a small white storm notched its southern border. It was one of the most mesmerizing things I have ever seen with a small telescope. As always, I am amazed that a little hunk of metal and glass the size of a 2-liter bottle can do so much. I have really missed having a little Mak around, and I don’t intend to be without one again. Nice report, Matt. I don’t know how you get such sharp photos by going handheld. I tried a couple the other night with my Casio Exlim and got nothing more than a pair of blurry elongations. Even worse when I tried to take a few photos through the EP. Eeeeeeek! Hey, my SkyWatcher Mak arrived yesterday. I put it altogether in no time at all and, like you, was impressed by the solidity and sturdiness of both scope and mount. From what I can see, excellent build quality, fit and finish. Now all I have to do is get it to work. VERY encouraged by your post here, re what you were able to see on Jupiter, and that you got such high performance at 208x. I am thinking your sky quality/transparency is better down in SoCal than it is up here in Eternal Gray Central but people who have lived here a long time say that come April that Oregon skies lose the perpetual haze (even on clear nights right now) and become, well, clear. I am hoping so. We have rain in the forecast for the next 3-4 days, so I have to wait some to try out my new Mak but will, as per your counsel, practice on terrestrial objects. The Mak is sitting on my desk right now, all bridled and saddled and ready to go. If I have half the images you have already scored, I’ll be happy. Oh. Just screwing around with the Mak on my desktop yesterday and looking out the window at some trees, I thought the included finderscope . . . wasn’t half bad. I got a clear, sharp image and I much like those bold crosshairs. It is inconvenient to have to squat down to look through, but I’ll have to see how this works out in actual outdoor practice. So, you are sort of okay with the included finderscope? It seems to be working at least adequately for you (other than the absence of a right angle, that is)? Looking forward to more of your Mak adventures. Yes, the seeing has been pretty good the last few days! Unfortunately, my new C90 hasn’t been getting much use lately, so I’ve been missing out on the detail you’ve been getting with Jupiter on your Mak. But the planets have been looking good even with the Skyscanner (I max out at 105X with this scope). Really good detail on Jupiter (hint of polar banding along with the two main belts) and especially Mars (two dark regions along with the ice cap). It’s easier for me to pull out this scope after work than using my other scopes (including the C90) once I get home because of my long commute. Yeah, despite my whining, it is functional. Sort of. It’s awkward and I often have to get out of my chair and squat behind the scope to find things, but it’s at least doable for bright targets. Where it really lets me down is in star-hopping to faint things. A 30mm or 50mm finder pulls in a LOT more light–2.5 times for a 30mm, equaling a full magnitude for stars, and a bit more than 5 times as much for a 50mm, equaling two magnitudes. That is a big, big difference. With the problems of (1) having to squat to use it, (2) really uncomfortable head angles even when squatting for targets high in the sky, and (3) simply not being able to see the stars I need, it is almost crippling for anything other than daytime use and the moon, planets, and very brightest stars. I still think that upgrading it to a RACI will make a huge difference in the usability of the scope. It’s easier for me to pull out this scope after work than using my other scopes (including the C90) once I get home because of my long commute. Hey, the best scope is the one you use the most. And as Uncle Rod says, there’s no wrong way to do amateur astronomy (the Wedel addendum: except not to do it at all). As long as you’re out there, you’ve got nothing to apologize for. P.S. Doug, glad to hear your scope came in. If you have time, put it on Jupiter tonight and see what you think. Try both the included prism diagonal and your mirror diagonal. There is often some sample-to-sample variation and your prism might not be as loathsome as mine. I think the mirror will do better, though. 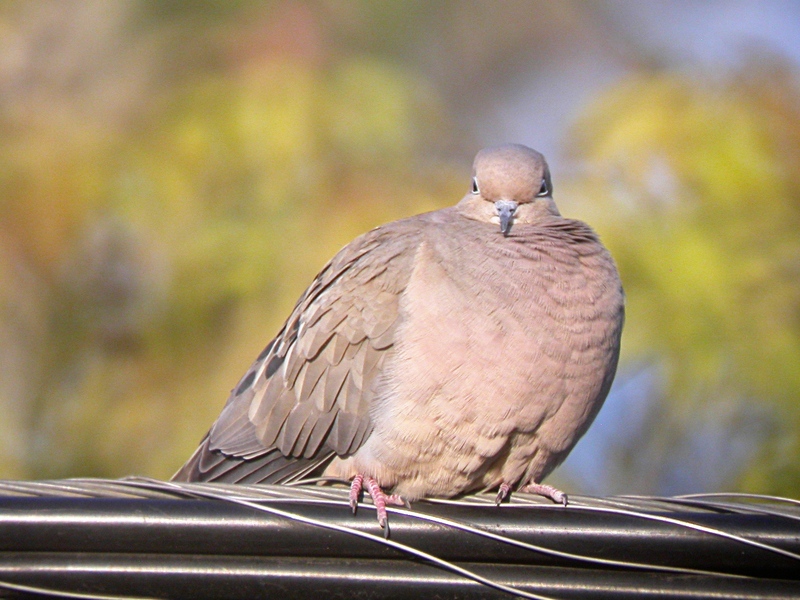 My run up to 208x–about 60x per inch of aperture–was with the $8 diag from Sheldon. About the atmosphere–it is variable, both seasonally and on shorter time scales, and there ain’t much you can do about it. Right now we are in roller-coaster season here. Part of the time it is raining and there’s nothing to see. Right after the rain the skies are very transparent but the seeing is all over the map. A couple of weeks after a rain, the sky is full of crud again and needs another washing. The poor transparency doesn’t hurt the bright stuff much, but it is hell on the faint fuzzies. Still, often it is hard to tell what the sky will be like without getting out and observing. As Timothy Ferris noted in Seeing in the Dark, you can’t catch any fish without getting your line wet. Also, the sky is almost always pretty good at the zenith, so the old tricks of observing near the zenith and dark adapting are always useful. I won’t be able to put my new Mak on Jupiter or anything else for at least the next 2-3 days. One gray, wet mass after another passing over. But when I DO get out, Jupiter is going to be my first target. And, yes, I intend to try out both diags. I have my Sheldon mirror in there right now, and it’s the one I will use first. But once I have a good image of Jupiter, or whatever, I will switch over to the prism daig and do an a-b comparison just out of curiosity. Ah, great news! That your Sheldon diag worked at 208x. Very encouraging. I am making notes of your go for the zenith advice on so-so nights which, so far, seem to the norm up here right now. I just read Terry’s post and it seems to confirm my belief that, right now, SoCal skies are much more transparent than are ours. He says he could see details on Jupiter including (both main belts, some polar banding). 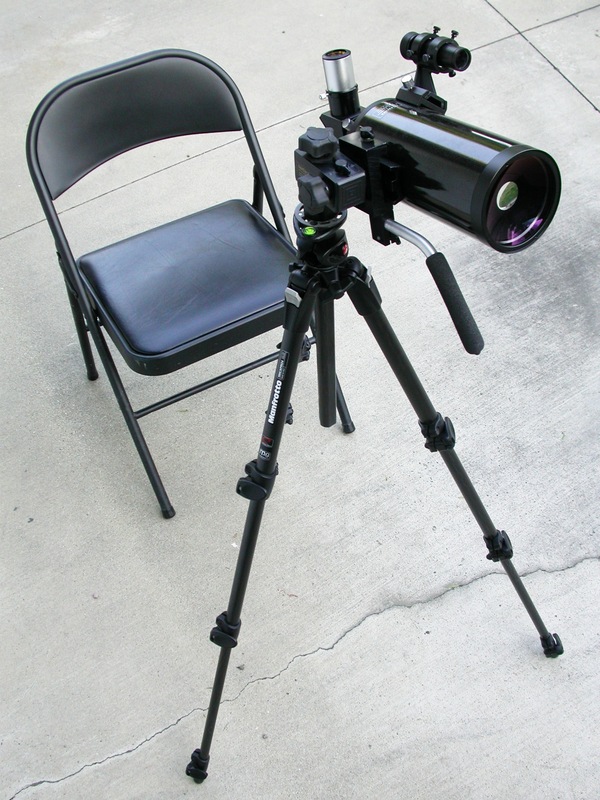 And this with his Skyscanner (which I am assuming is the Orion 100mm entry level scope in the same series that contains the StarBlast 4.5 and the 6 that I have). On the best night I have had so far, the most I have seen is one faded main band, and maybe the barest hint of the other. Period. Just mainly a big, bright yellow globe. Has to be the sky. Hi Doug – yup the seeing has been really good here the past few days, even though the weather has been a bit chilly lately. I’m observing from Santa Monica, which is right near the coast. But 1-2 weeks ago, the seeing wasn’t so good even though the skies looked clear. I could just barely make out the two main belts – at the time, I thought it was because Jupiter was no longer at or near zenith level, but I was wrong. Lately, planetary detail looked good (two main belts, a hint of polar banding) even with Jupiter at only 45 degrees above the horizon in light-polluted skies. Would have seen even more detail if I had been observing with the C90 (higher power capability, superior optics). BTW, I own the Starblast 6 as well. Been chilly up here too; 38 degree HIGH yesterday with some snow in the morning. Unusual this time of year in Oregon, but not unheard of. I know Santa Monica, Malibu, etc. pretty well. I was born and grew up in Santa Barbara. How is that Orion Skyscanner working out for you? Based on your posts, i’d conclude pretty well. LIke all of Orion’s scopes, a really nice-looking instrument, and one with uniformly outstanding reviews. I’m both impressed and encouraged by what you are able to see with it. Gives me some home for my StarBlast 6 when we finally get some truly clear skies. Gotta be patient up here! Is this your grab-and-go scope? Ah, even more importantly, how does your SB 6 work you, especially vis a viz the Skyscanner 100? I’d love to hear from a SB6 user who actually knows what he’s doing! So fill me in if you’re so inclined. The Skyscanner is my main grab-and-go scope, yes. Believe it or not, I’ve owned the Starblast 6 for over a year, but I’ve never observed with it, not even once! It just sits in my bedroom housed in it’s soft carrying case, collecting dust. Someday I’ll take it out of the house and observe with it, just don’t know when.